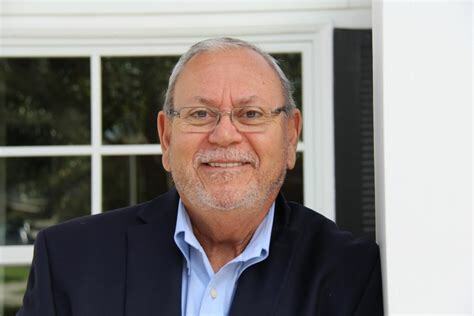 Congrats to one of my favorite mentors, Chicano scholars, and one of my dad’s old customers at Medellin’s Texaco in Cristal, Dr. Jose Angel Gutierrez, on winning Best Biography at the 20th Annual Latino Book Awards for Albert A. Peña, Jr., Dean of Chicano Politics. My 2006 post of Peña’s obit continues to earn traffic. Along with fighting for school desegration in the 50’s, Peña’s history includes having defended activist Angela Davis in 1972, which was cause for him to lose re-election to the Bexar County Commissioner’s Court because of Davis’ Communist Party affiliation. Davis was recently in Houston for a UH speaking engagement. The 1st place winner in the category of author of the Best Biography in the Non-fiction Awards section of the 20th International Latino Book Awards Ceremony held on the California State University Dominguez Hills campus in Carson City, California on September 8, 2018 was Crystal City, Texas native, Jose Angel Gutierrez. He is best known as the last standing member of the Four Horsemen of the Chicano Movement. Dr. Gutierrez has written over a dozen books and is Professor Emeritus of the University of Texas Arlington as well as a practicing attorney in Dallas, Texas. He now resides in Redlands, CA. This first-place winning biography is about the life of San Antonio native Albert A. Peña, Jr., former Bexar County Commissioner. He is the famous icon of the Chicano Movement era for his political acumen, vision in founding so many of our current institutions such as Southwest Voter Registration Education Project, National Council of la Raza, Mexican American Legal Defense and Education Fund, and National Association of Latino Elected and Appointed Officials. Presenting the award to Dr. Gutierrez was none other than Dr. Julian Nava, former U.S. Ambassador to Mexico during the President Jimmy Carter years and author in his own right. The packed-house event featured some of the most creative and brilliant Chicano and other Latino authors of our time. Some winners were repeat honorees, but many were first-timers in the fifteen categories for entries. This awards ceremony is the largest of its kind featuring authors, illustrators, translators, and publishers of books in English, Spanish, and Portuguese. It is organized annually by the non-profit organization Latino Literacy Now led by Kirk Whisler and Hollywood actor Edward James Olmos. The winning book is titled Albert A. Peña, Jr. Dean of Chicano Politics and published by Michigan State University Press in 2017 as part of the Latinos in the United States Series, editor Dr. Ruben Martinez of the Julian Samora Research Institute. This entry was posted in Cultura, DC Promo, Historia, History, Local Politica, Media and tagged albert pena, biography, dean of chicano politics, JAG, jose angel gutierrez, naleo, NCLR. Bookmark the permalink.